There's nothing quite like the HomeCook'n Newsletter...with those funny jokes, great recipes, helpful cooking tips, and interesting reader comments. 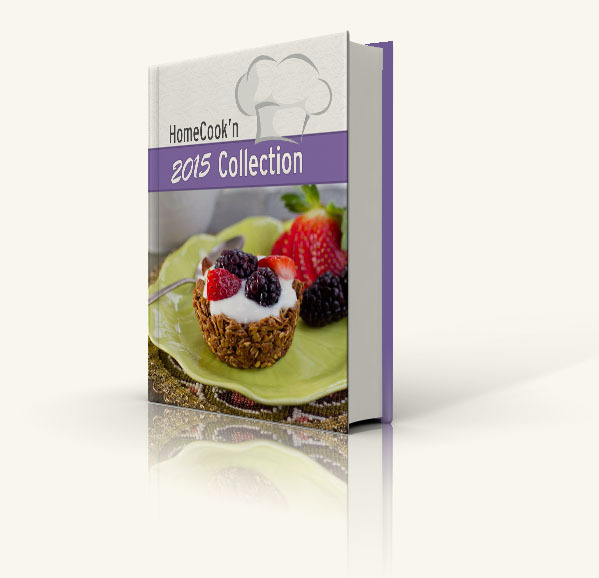 Now you can import the content from each issue of 2015 into Cook'n! We compiled each issue of the newsletter into a cookbook that you can import into Cook'n and keep forever! Jest for Fun: Facebook for Seniors! Jest for Fun: Fast Growing Christmas Tree! Jest for Fun: Jokes to Keep a Hand On This Month! Jest for Fun: Kids These Days Will Never Know The Struggle! Jest for Fun: Late Delivery? Jest for Fun: Should This Student Pass This Exam? Jest for Fun: We're Going Tubing! Kitchen Pantry: Pepperoni Pizza Roll Ups! Kitchen Pantry: Take a Slice! Kitchen Remedy: Adding Spice to Life! Kitchen Remedy: Can Spices Go Bad? Kitchen Remedy: Cleaning Your Juicer with Ease! 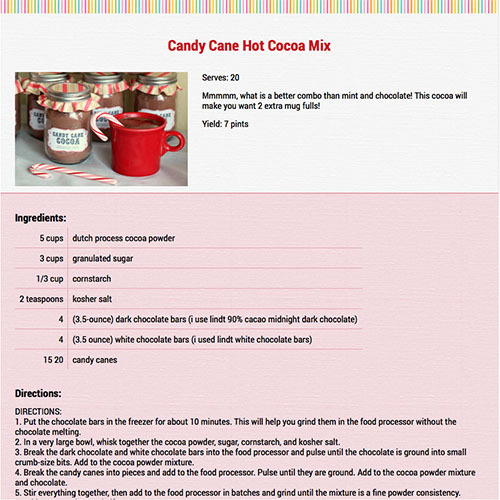 Kitchen Remedy: Decorate your Sugar CookiesThe Easy Way! Kitchen Remedy: Garlic Problems Solved! Kitchen Remedy: Grandma Oka's Stuffing-Changed to Gluten Free! Kitchen Remedy: Let the Ants Go Marching Somwhere Else! Kitchen Remedy: Perfectly Softened Butter in Minutes! Kitchen Remedy: Save That Yogurt! Kitchen Remedy: Something's Fishy? What About Now? Kitchen Remedy: Spice Up Camping! Kitchen Remedy: Spring Clean that Kitchen! Kitchen Remedy: What Is That Smell? Kitchen Remedy: What to do with Your Harvest! Refrigerator Door: Cut More Than Apples! Refrigerator Door: How to Scramble an Egg inside its Shell! Refrigerator Door: How to make Super Easy Sugar Cookie Bowls! Refrigerator Door: I Can See Clearly Now! Refrigerator Door: Ice Cookies the Easy Way! Refrigerator Door: This Saves My Life! Refrigerator Door: What Am I Doing Wrong? Refrigerator Door: What is a White Elephant? Seared Scallops with Warm Fruit Salsa for a Healthy Heart! Table Talk: Are YOU A Picky Eater? Table Talk: Full or Fulfilling? Living Life to the Fullest! Table Talk: Have a Merrythought! Table Talk: Is This a Good Receipt? Table Talk: Is a Home Garden Right for You? Table Talk: Learning is FUN! Table Talk: Mugs All Around! Table Talk: Sugar and Spice and Everything Nice! Table Talk: The Origin of Flower Giving: What are you REALLY Saying? Table Talk: What Do You Know About Flag Day? Table Talk: What Exactly is Vinegar? Table Talk: Win, Win, Win!